Are you hoping to get slimmer and more slender in time for swimsuit season? If the answer is yes, then you are in the right place. The worst thing that you can do to slim down is start a crash diet. Sure, the weight will drop off quickly, but the moment you start eating normally again the weight will creep back on – you may even end up heavier than you were before. The best thing to do when it comes to getting in better shape is putting your health first. Then, you should start to see your body changing and becoming stronger and leaner. Want to feel shiny and new for the first summer outing by the pool? Then take note of the health hacks below, implement them in your daily life, and you will see results – that’s a promise! Start Each Day With Yoga or Pilates: Not only are both yoga and Pilates great ways to tone up, but they are also very good for your mental health. The types of meditation-based exercises that both Pilates and yoga offer incorporate gentle stretching to calming music. This helps to improve your flexibility and increase your muscle tone, as well as helping to improve your mental health and stress levels. Remember, to be truly healthy; you need to be mentally healthy, as well. Have a Glass of Water Before Every Meal: Water acts as a natural appetite suppressant, which means that if you drink a glass of it before each meal, you will consume fewer calories. Water also comes with many other benefits, from improving skin health and boosting your immune system to speeding up your metabolism and preventing fatigue. So, obviously, it’s definitely something that you want to be drinking more of! Instead of buying filtered water from your local store, visit cleanairpurewater.com and look at the cost of having a water purification system fitted into your home. It might mean making an investment, but if you are serious about being healthier, it’s an investment that will pay for itself in the long run. 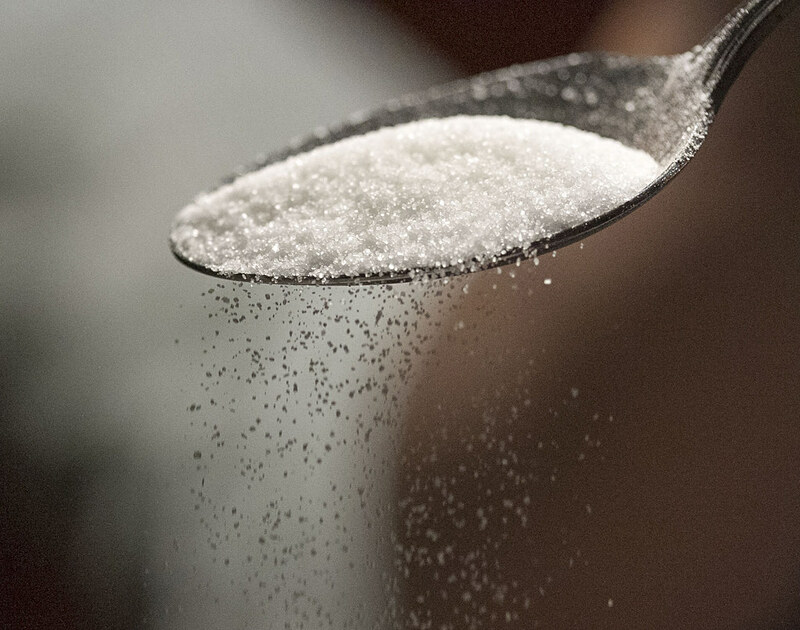 Quit Sugar: One of the best things that you can do for your health is to quit sugar. The fact is, is that processed sugars are extremely bad for our bodies. Processed sugars are linked to all sorts of issues, from premature aging to acne, as well as weight gain, of course. If you are serious about being healthier and getting slimmer, then quitting processed sugar is a must. You can eat natural sugars, such as fruit sugars and raw sugar, but not processed sugars. So good but so bad! Start Having Breakfast: They say that breakfast is the most important meal of the day and they are right. Grabbing a cereal bar as you rush out of the door to work isn’t a suitable breakfast and could actually be harming your health, especially in terms of meeting your weight loss goals. A nutritious breakfast will give you the energy that you need to have a productive day and will stop you from snacking, which is an added bonus. Ideally, your breakfast should be a combination of protein, healthy fat, and carbohydrates. Something like poached eggs, avocado, and rye bread is ideal. It keeps you full and is quick and easy to make. Don’t expect to feel different overnight but after a few weeks of utilizing the above hacks, you should start to feel much healthier and happier in yourself. Just in time for swimsuit season! Score. When Lil Red hits the beach, the five items that I have listed above are what I wouldn’t dare to leave the house without. Let’s talk about each item in a little more detail! Sunscreen: SPF One Million is everything when you’re pasty pale and are spending a day having fun in the sun. Unfortunately, I always end up burning anyways but the fact that I make an effort by putting sunscreen on makes me feel a little better about it! Floppy Hat: I have three Brandy Melville floppy hats and at least one of them has to come with me for a beach getaway. I have one in black, mauve, and forest green. The black is perfect to counterbalance my bright striped bikini and the mauve one is awesome for an evening stroll on the sand. Sunglasses: My eyes are incredibly sensitive so I refuse to leave the house without a pair or two of my many sunglasses from my collection. A huge pair of don’t look at me shades are definitely a necessity to save me from the squints and to give my face some extra protection from the sun. Gladiator Sandals: I consider every time I leave my house a fashion show so a knee length pair of gladiator sandals to strut about in are my beach footwear of choice. Make sure to pack a cute wrap skirt and crop top for a ready to wear outfit when you leave! Whether you do some shopping on the pier or go out to dinner afterwards, gladiator sandals are totally beach chic. Victoria’s Secret Bikini: The Getaway style bikini from VS is literally the best thing that ever happened to me. I have never had a bikini that has fit so well, provided perfect support, and is so fabulously cute. My bikini is horizontally lined with gorgeous lime green, teal, white, and pink stripes and features metallic gold tie strings. I’ve never been very confident in two piecers before and the Victoria’s Secret Getaway style bikini has been a total game changer. Hello, beach goddess! I want to thank my friends at HomeAway again for providing me with such a fun graphic and I encourage you all to check out their site so you can start planning your perfect getaway!